After the all-new 2017 Alfa Romeo Giulia lineup was unveiled in big style, receiving the best appreciation from the media worldwide, it was time we saw it launched in the United States in full prices and specifications. 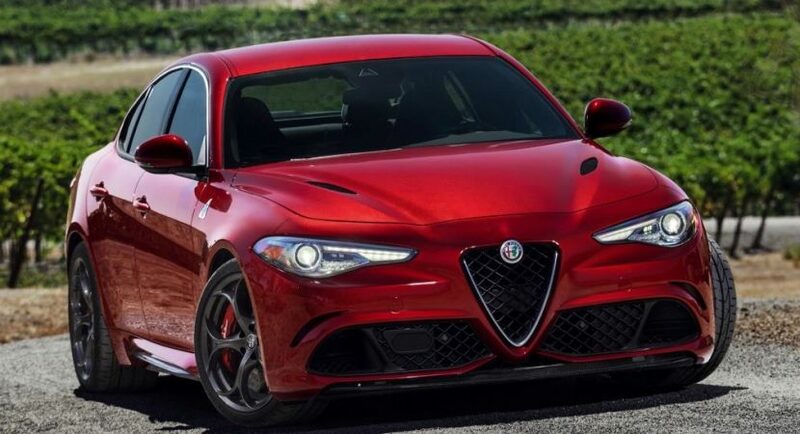 There are three level trims available in the US – the standard Giulia priced at $37,995, the Giulia Ti costing $39,995 and the top of the line Giulia QV (Quadrifoglio) set at $72,000. Each version comes with its own specifications and features. Starting with the standard 2017 Alfa Romeo Giulia, the entry-level version comes with an exceptional and aggressive design, highlighted by bi-xenon headlamps with LED daytime running lights and LED taillamps, as well as dual exhaust system. Inside, the cabin is tweaked with leather seats, high-end materials, ten-way power front seats with four-way lumbar, back-up camera with dynamic gridlines, rear park sensors, remote start, seven-inch full-colour TFT display and much more. Under the hood, this version features a 2.0-liter engine with 280 horsepower and 306 lb-ft of torque, hooked to an eight-speed automatic transmission. Moving to the Ti, the mid-level version is standing out from the crowd at the exterior with the new 18-inch alloy wheels, while inside, the interior is tweaked with heated steering wheel, 8.8-inch widescreen infotainment system with SIriusXM, wood interior accents and so on. The same version can also be had with the Ti Sport or Ti Lusso packages, which for extra costs, come with even more important features. Finally, the top of the line 2017 Alfa Romeo Giulia QV packs a carbon fiber aero kit, with the main highlights around the carbon fiber hood, roof, rear spoiler, side sill insert, carbon fiber aero front splitter, 19-inch aluminum wheels with Brembo brakes, and high-performance suspension. The cabin features leather seats, leather dash and doors with accent stitching, while the engine comprises a 2.9-liter bi-turbo V6 engine, with 505 horsepower on board.